A Facebook post by Sani B Sarip in which he expresses his anger because a child refused to sit beside him as he is Malay has gone viral. Sani decided to watch the later screening of ‘Star Wars – The Force Awakens’, as he hated crowds. The moviegoer who was to sit beside him at the movie theatre was a child, “who could not have been more than 10”, Sani describes. But the child did not want to sit beside him and he tells his father why not – “I don’t want to sit beside Malay people”. The dad apologised for his child by telling Sani, “He’s just a kid”. I am that guy that was in the cinema theater before you. I wanted to watch Star Wars: The Force Awakens, but hated crowds, so I decided to watch later. I am that guy who your son (who could not have been more than 10) didn’t want to sit beside, because he said: “I don’t want to sit beside Malay people”. I am that guy who was shaking in so much anger that he could not enjoy the first ten minutes of the movie because there was a part of him that just wanted to go over and pour his drink over the boy. You don’t get to tell me that “He’s just a kid”. A kid should be thinking of the action figures he should get after the movie, and not caring who sits beside him. You don’t get to tell me to “Let it go”. 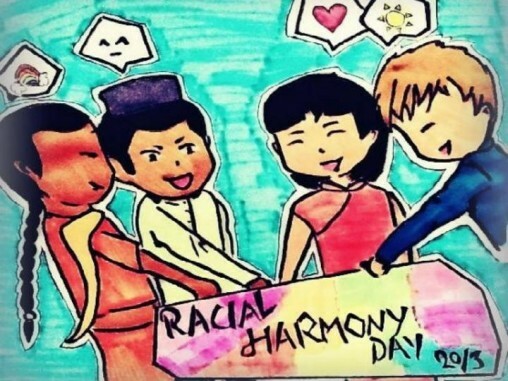 You have never experienced racism in Singapore, at least not as much as the minorities do. Like I told to your face, if you sat down somewhere and someone says “I don’t want to sit beside Chinese people”, how would you feel? I also said that he’s lucky he’s still young, because I would punch his face in if he was older. Also, my wife is Chinese. The majority of my friends are Chinese. If any of them were there with me, they would have probably told you off worse than I ever could. As a parent, you should teach your child to respect others. You bring them to watch Star Wars: The Force Awakens, where the lead actor is not a White Caucasian male, but rather, a British man, born to Nigerian parents. Star Wars, where the story is about beings of different races getting together to defeat an evil dictatorship. And yet I was treated like a pariah, by a child. Speaks volumes about your character. I chose to sit somewhere else not to pander to his (and by extension, your) racism, I chose to sit somewhere else because I am the better man. I am that man who will come to your aid if sometime in the future you get beaten up black and blue because you decided to be racist, and the victims have less self control than me. I will be that person who will call the Police, and the Paramedics (of which many are Malay, and Indian) to help you. I will be that person who will stay by your side until help arrives. I will do so because I was taught to not judge a person by how he looks, how he smells, or how he talks. I was also taught to be the better man, in the hopes that one day, we can all be colour blind, and not judge each other based on race. Dear Chinese man, and his family, I am human first, Malay second. Maybe you should teach your family that too.